A man is willing to steal $20,000 to he can take care of the woman he loves. But she's not who she seems to be. Then again, he's not who he seems to be either. 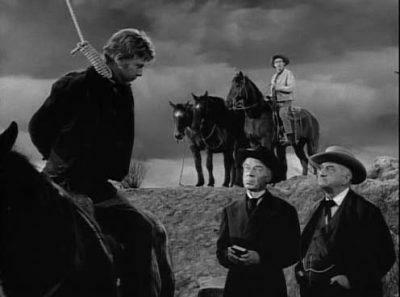 The second of The Twilight Zone's Western-themed episodes was "Execution," which aired on April 1, 1960. 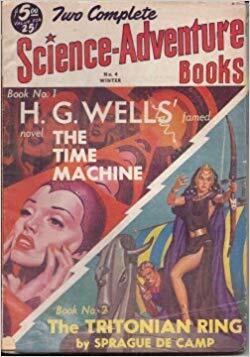 This one is a time travel story, so the Wild West is the setting only for a few minutes at the beginning and the end. So I suppose it's a judgement call as to whether it truly qualifies as a Wild West-themed story. But it's my blog, so my decisions, by golly, are final. 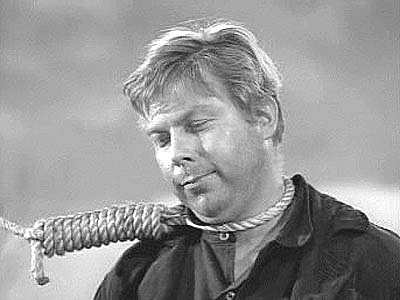 Joe Caswell (played by Albert Salmi) is a murderer about to be at the receiving end of a well-deserved hanging. But the moment the rope snaps tight around his neck, he's teleported nearly a century into the future via a time machine. It's at this point that the episode becomes fun on a meta level. The inventor of the time machine is a scientist played by Russell Johnson, who is a little more than four years away from playing the Professor on Gilligan's Island. 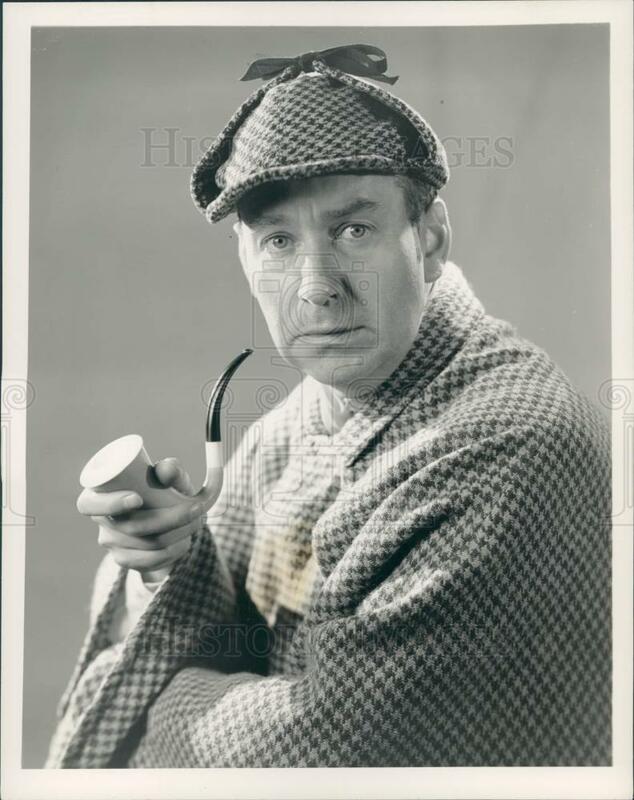 Johnson was an excellent character actor, so it's always fun to see him play a character role in his pre-Gilligan days. But seeing him play a scientist is even more fun. I half-expected the time machine to be made out of coconuts. 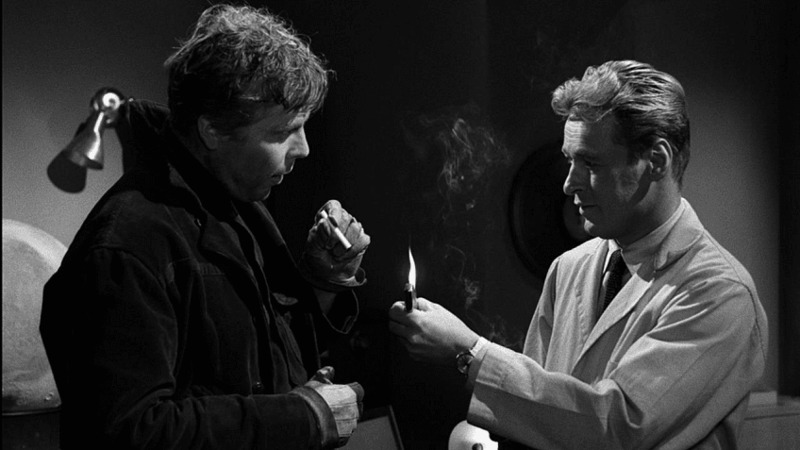 The story, written by Rod Serling and based on a short story written by George Clayton Johnson, is not a classic, but it's still a good one. Johnson's character gradually realized he's brought a brutal thug into modern day. Caswell soon murders him, goes out onto the streets of New York and suffers a nearly crippling culture shock from the lights, cars and other bizarre things he's not equipped to understand. Salmi's performance as Caswell is great--he actually manages to generate a small level of sympathy for the time-lost outlaw. But the ending, involving Caswell's encounter with a modern day killer and an inadvertent activation of the time machine, tries a little too hard to be ironic and--I think--comes across as contrived. But Salmi and Johnson bring enough life to their characters to still make it an enjoyable half-hour. By the way, this was the first of two appearances that Russell Johnson made on The Twilight Zone. He'd return the next season in yet another time travel story, in which he fails to save Abraham Lincoln from being assassinated. It's no wonder the one thing the Professor never tried on that island was building a time machine out of coconuts and going back to keep the S.S. Minnow from sailing off on that three-hour tour. He already knew that mucking about in time never ends well. One of the strengths of the Silver Age of Comics was its willingness to get a little silly from time to time. 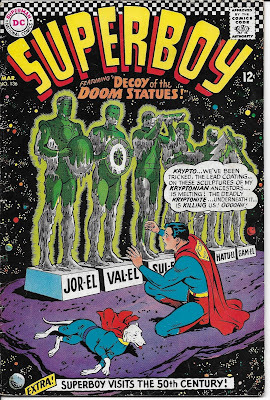 Well, actually, "Decoy of the Doom Statues," from Superboy #136 (March 1967), was more than a little silly. It was a lot silly. But the writer, Otto Binder, was really, really good at being silly. When he wrote a script, being silly was a strength and never a weakness. His Golden and Silver Age tales often drip with fun and charm generated by the silliness. This story (with art by George Papp) is a perfect example of this. This is the second of three stories featuring the Space Canine Patrol Agents, intelligent alien dogs with superpowers who fight evil. And, as you can see from the above panels, tend to be a bit harsh when rejected Patrol applicants who don't quite make the cut. 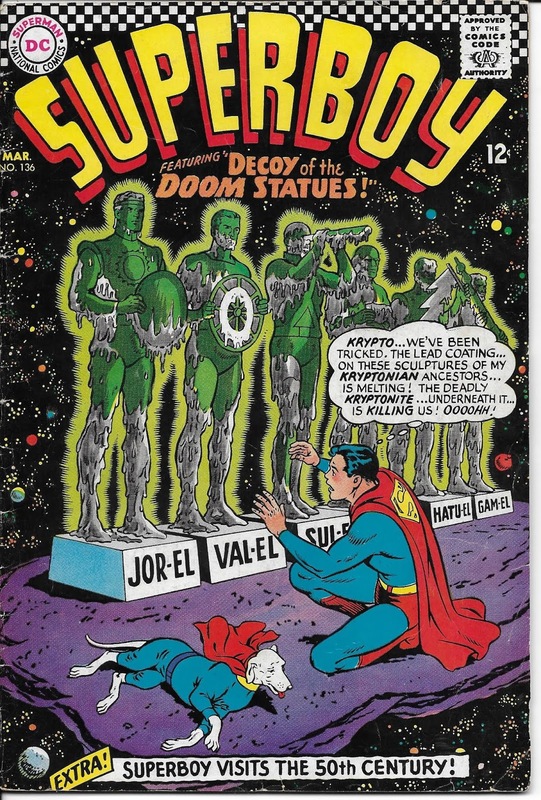 Krypto had become a member and is visiting their headquarters when Prophetic Pup, a potential applicant, is told that if his next three predictions come true, then he can join. Two relatively innocuous predictions do come true. 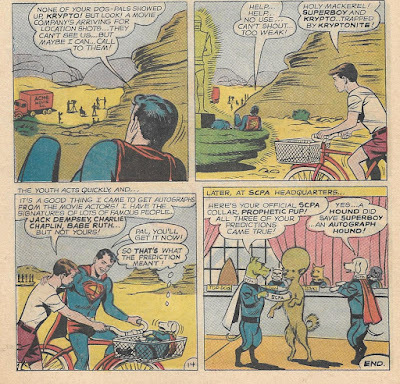 The third is that Superboy will be placed in danger by a hound, but then rescued by another hound. In the meantime, a planet of intelligent dogs is endangered by a swarm of giant fleas. The SCPA responds. This turns out to be a plan by the evil cats of Black Cat World. This, of course, is one of the reasons I secretly believe that comic books are true histories rather than fantasies. In this story, the dogs are heroic and the cats are evil. JUST LIKE IN REAL LIFE! AHA! Anyway, shenanigans ensue. 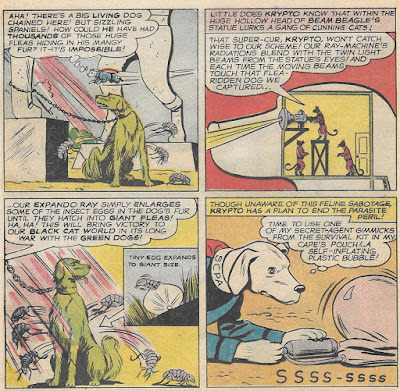 The fleas are stopped and most of the cat gang is captured, though Krypto is briefly endangered by kryptonite and has to be rescued by Superboy. But one cat escapes and, with the help of evil Kryptonian cats who are trapped in the Phantom Zone, lures Superboy and Krypto into a kryptonite trap. 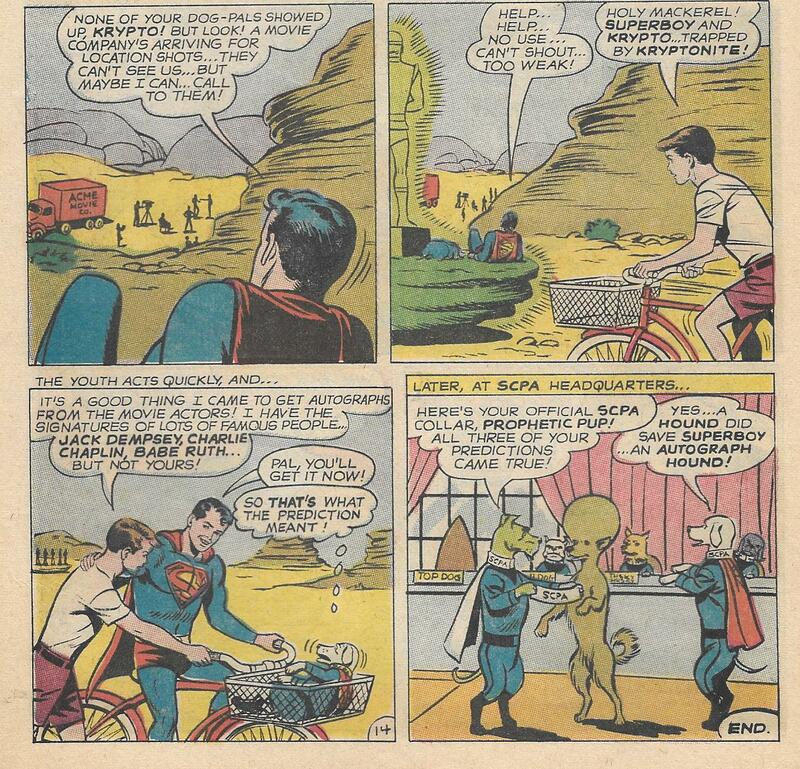 So it turns out that Krypto is the hound that inadvertently lures Superboy into danger. The villains dump the dying heroes outside Smallville because of... reasons. The cats are just plain mean. Other dogs from the Space Patrol are visiting, but they too busy goofing around to leave much chance of finding Clark and Krypto. 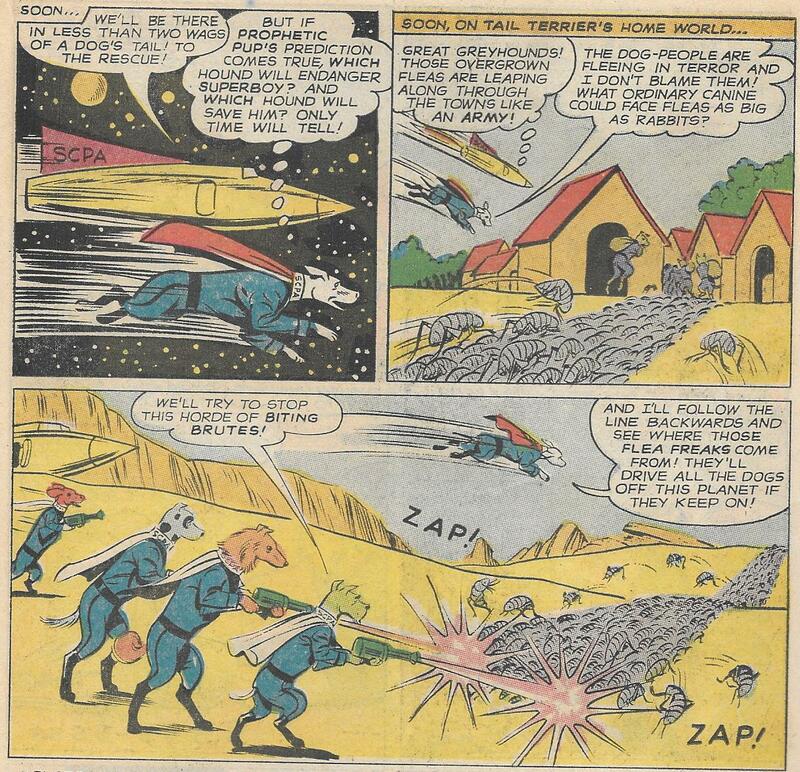 But remember that Prophesy Pup said a hound would rescue Superboy. In this case, it's an autograph hound, who was on his way to visit a nearby movie set. A Comic Book Universe needs an occasional dose of silliness and whimsy. 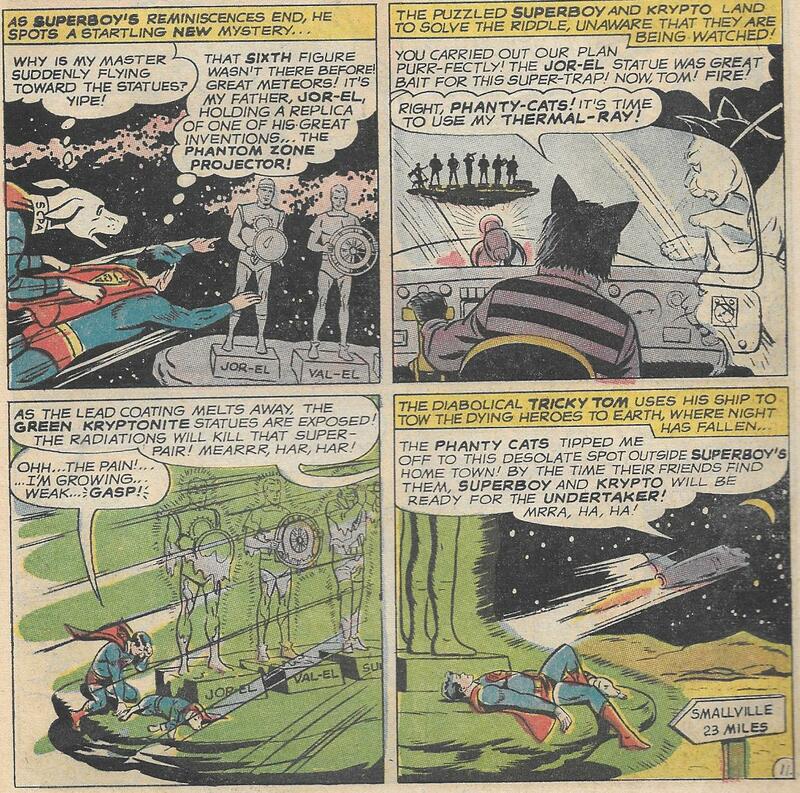 Otto Binder is the perfect writer for providing us with those qualities. 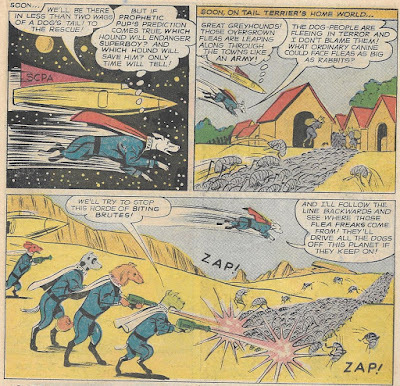 I love knowing that the Space Canine Patrol is actually a thing. The universe would be a poorer place indeed without it. Next week, we'll finish up the Hutec trilogy in Turok, Son of Stone. 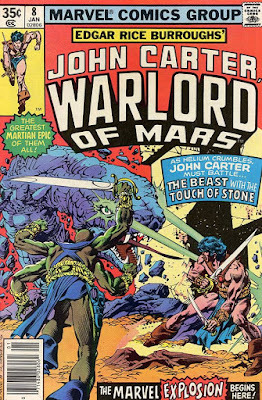 From 1978: A phenomenal Gil Kane cover from Marvel's excellent John Carter of Mars series. Babysitting, as portrayed in old-time radio shows, always results in zany schemes that go awry or chaotic shenanigans. 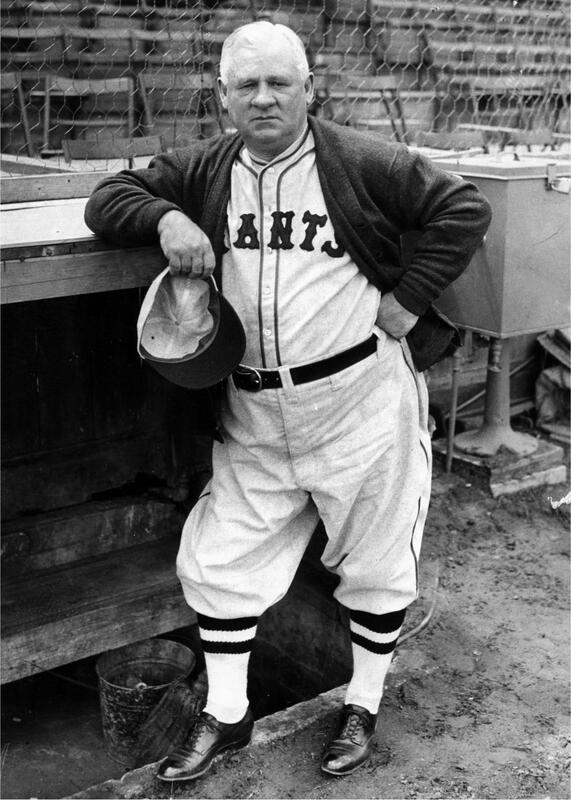 Pat O'Brien stars in a highly fictionalized but still enormously entertaining biography of John McGraw, the ill-tempered but brilliant manager of the New York Giants (1902-1932). Why do Horror and Comedy Mix? You wouldn't think the two genres would mix together smoothly, would you? Horror exists to scare us. Yes, there can be deeper thematic meaning in a good horror story, but if it doesn't make us jump out of our skin a few times, then it has failed in its appointed task. Comedy exists to make us laugh. Once again, deeper meaning can be there beneath the laughs. But we need the laughs to be there or its simply not a comedy. But anyone reading a blog about old-timey stuff already knows quite how effective horror and comedy mix together if both elements are treated with appropriate respect by the storytellers. How many of you saw Abbott and Costello Meet Frankenstein (1948) on TV as a kid? How many loved it? How many were scared and made to laugh aloud at the same time? That's pretty much all of you, isn't it? 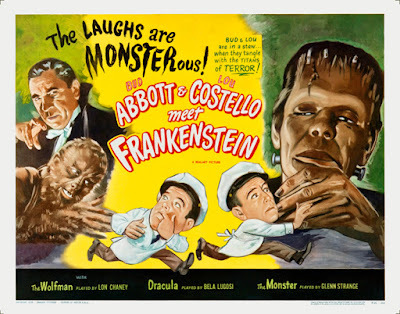 This may be my favorite Bud and Lou movie, if only because it is so brilliant in how it mixes in the classic monsters. 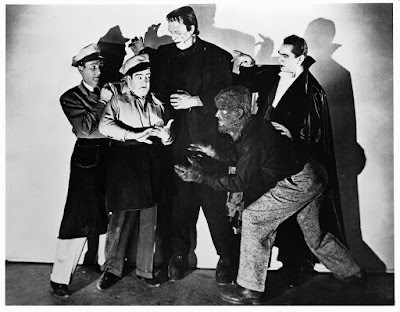 I first saw it when I was quite young, so I don't remember now how many of the Universal Monster films I had seen prior to that. But then, I literally don't remember a time I didn't know who all the monsters were and their back stories. As far as my childhood memories are concerned, I always knew about them. Much like I always knew about Superman, Kirk & Spock, or Spider Man. The existence of these things are simply built into my DNA. Though I usually enjoy rambling on with my own opinions about stuff like this (as I secretly believe that mankind's only hope is to embrace my opinions and cultural tastes on a global basis), I believe I will pause here to share an informative and insightful documentary on Abbott and Costello's monster films. This comes from the Blu-Ray release of A & C Meet Frankenstein and it is well-worth a half-hour of your time. 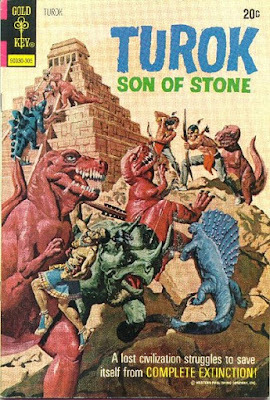 A couple of weeks ago, we looked at Turok Son of Stone #84, in ends with Turok and Andar team up with Hutec, the only survivor of an Aztec-like tribe that had also once wandered into Lost Valley. 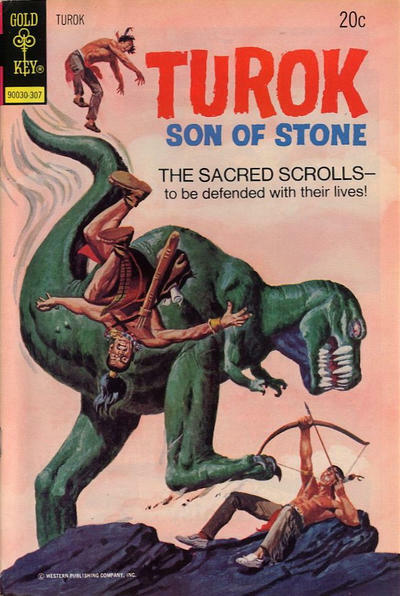 Turok #85 (July 1973) continues this story arc, with Angelo R. Todaro continuing to do the artwork. The unknown writer actually manages to generate tension in an interesting way. There are the usual encounters with dinosaurs, which are always highlights of pretty much any Turok story. But the bulk of the tension comes from the fact that Turok and Andar are completely unfamiliar with the concept of a written language. So when Hutec insists on weighing himself down with a satchel of scrolls and several times risks his life to keep those scrolls safe, Turok and Andar begin to wonder if he's just nuts. But Hutec's scrolls do seem to somehow tell him things--most importantly, it leads the trio on a route that will eventually show a way out of the valley. Hutec finds one landmark after another and even manages to save them all from an unfriendly tribe of cavemen as well. Eventually, Andar begins to trust Hutec. Turok is a bit harder to convince, though Turok is wise enough to follow Hutec's lead and acknowledge that pride or jealously might be affecting his feelings. And, eventually, it is Turok who interprets a clue from the scrolls properly to keep them on the right path. But then they come to a dead end when they find a rock marker has broken loose from the edge of a stream. This means Hutec can't measure the proper angle to figure out what direction to go in from there. The three have finally come to trust each other, but they scrolls have taken them as far as possible without leading them out of the valley. I really like this one. Hutec is a great character. He'll only be around for one more issue and I think it was wise not to make him a permanent addition to the book. But he is serving his purpose here, challenging Turok and Andar with new knowledge and new ideas. This is the second issue in a row in which Turok is stymied by the idea of a written language, but the script continues to hit the right balance. Turok never comes across as dumber than Hutec because writing is a new thing for him. We get that this is a result of growing up in a non-literate culture and has no bearing on his sharp intelligence and ability to think & improvise under pressure. In the end, Turok demonstrates his intelligence by showing that he's eventually capable of understanding something that was totally outside his experience. We'll finish up the Hutec trilogy in two weeks. Next week, we'll zip off into space and visit the Space Canine Patrol. 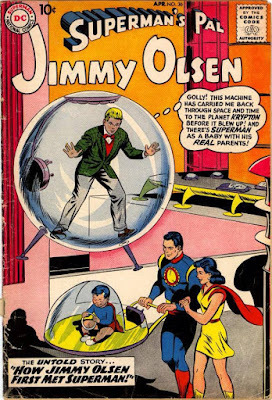 Even for someone living in a Comic Book Universe, Jimmy Olsen lives an odd life. From 1959, with art by Curt Swan. 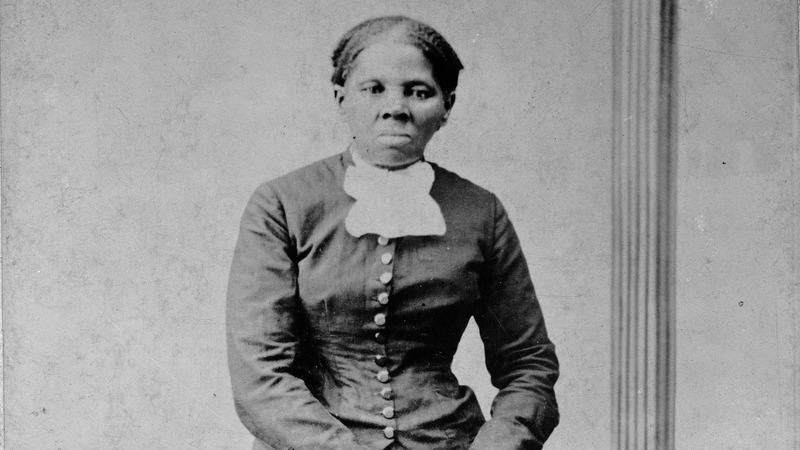 The story of Harriet Tubman, the former slave who helped countless other slaves escape the South via the Underground Railway. This is the first of 17 episodes from various series that will take us through the Civil War and its immediate post-war legacy. I'll be posting another Civil War episode every three or four weeks. Don't Mess with the Butler! I don't think a lot of the Disney live-action films from the '50s & '60s are as well-remembered as they should be. The studio was stuffed full of skilled storytellers and few of the films produced there were clunkers. 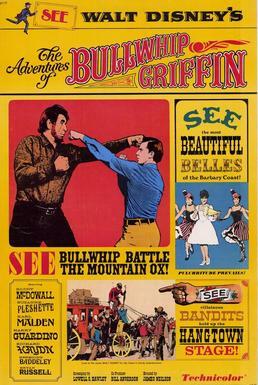 For instance, The Adventures of Bullwhip Griffin (1967) is an enormously fun movie. It is essentially the story of the world's most awesome butler, played with skill and humor by Roddy McDowell. It's based on a children's novel titled By the Great Horn Spoon! I haven't read the book, though it is my understanding that the movie pretty much leaves the book behind and goes off in its own direction. I have no idea whether making the movie was a fun experience for the cast and crew, but, by golly, I hope they did. Bullwhip Griffin is one of movies in which you have the distinct impression that the actors in it are really enjoying the roles they are playing. Of course, for all I know, making the movie was a miserable experience for all involved and it just seems like fun because they were all ACTING! But if I had to bet money on it, I'd go with them all having fun. The story starts in Boston. 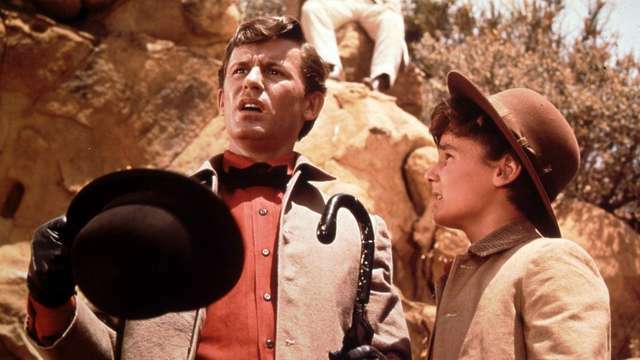 Young Jack Flagg is reading dime novels about the California gold rush--most notably about a character called Bullwhip Brannigan--and gets it into his head that it would be fun to seek his fortune out West. Since Jack and his sister Arabella (Suzanne Pleshette) live in a large mansion, it seems he already has his fortune. But when they find out their grandfather has died broke, Jack decides it is indeed time to stowaway on a ship heading to San Francisco, find a fortune in gold, then come back to take care of his older sister. Griffin pursues Jack aboard the ship, but both end up stuck aboard when she sails. 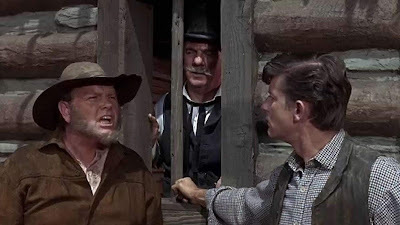 They team up with a down-and-out Shakespearean actor (Richard Haydn) who claims to have a map to the "mother lode." A thief and con artists known as Judge Higgins (Karl Malden) also enters the picture. He's after the map at first and later after stealing everyone else's money in any way he can. Once in California, Jack and Griffin undertake a series of adventures in search of their fortune. The comedic elements of the story are sincerely funny as it gently satirizes Westerns, but what makes the film work on a storytelling level is that it's not the expected "Fish Out of Water" tale you would expect after thrusting a cultured butler into a rough-and-tumble world. Griffin (who is soon nicknamed Bullwhip after Jack's dime novel hero) keeps his head in dangerous situations and thinks quickly on his feet. There is both a sense of real danger and a sense that Griffin can really win out in the end if he just keeps plugging along. There's also a real chemistry between Griffin and Arabella. It's obvious from the start that the two are in love with each other, but Griffin won't pursue a woman he considers above his own station. But when Arabella also shows up in San Francisco, she proves to be quite intelligent and capable in her own right. And, by golly, she sure looks purty at the same time. 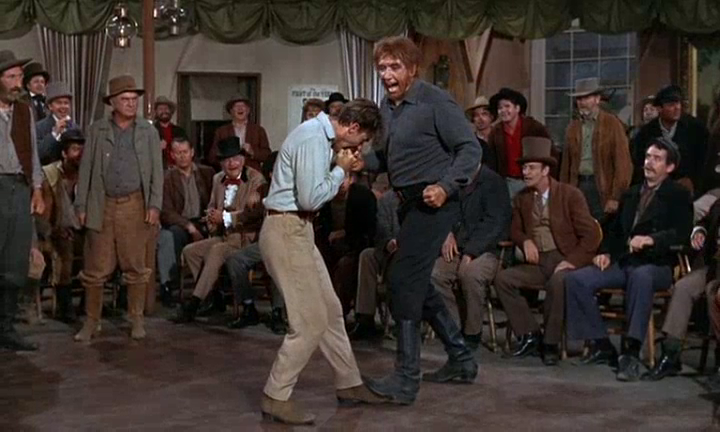 The movie's climatic scene is an often hilarious bare-knuckled boxing match between Griffin and a big guy appropriately named Mountain Ox (played by Mike Mazurki), in which we learn that brains--and a good deal of dumb luck--can always win out over brawn. 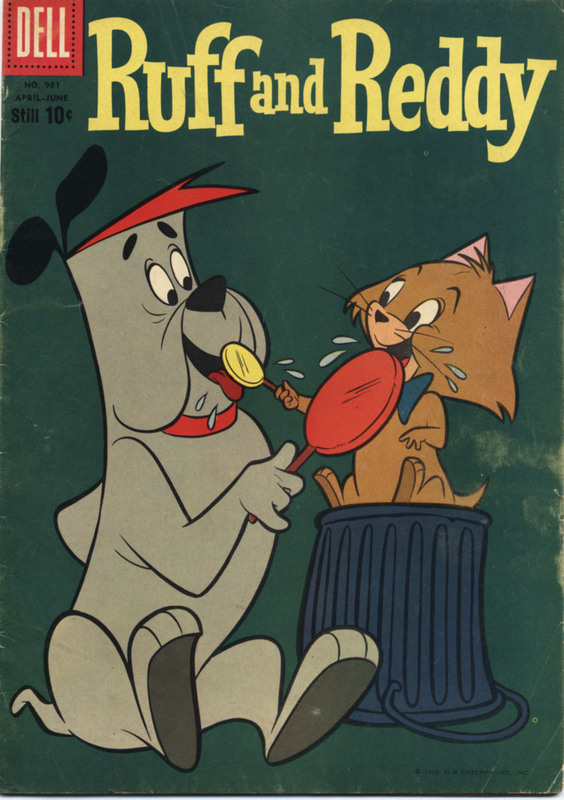 Ruff and Reddy, which ran on Saturday mornings from 1957 to 1960, is a cartoon of some historical importance. Produced by Hanna-Barbara, it was the cartoon that demonstrated that the limited animation technique (less cels per second of animation) was practical and proved that made-for-TV animation would be a regular thing. Ruff was the cat and the brains of the pair. Unlike real life cats, he wasn't evil, but a steadfast friend to Reddy, the dog. Reddy, by the way, was equally loyal, but somewhat lacking in the brains department. Their half-hour show featured three Ruff and Ready segments per episode, with each 13 episodes making up a single storyline. So, though primarily a comedy, the show depended a lot on generating a mild sense of real danger, along with cliffhanger endings to make sure the kids kept tuning in each week. Four Color #981 (April-June 1959) contained Ruff and Reddy's second set of comic book adventures. The writer is uncredited, but the book was fortunate in getting Harvey Eisenberg (once described as the "Carl Barks of Hanna Barbara comics") to draw the stories. The issue starts out with an absolutely delightful 11-pager titled "Ruff and Ready and the Teeny Genie." The two friends are out in the desert, following a map that should take them to the lost city of Bagdaddy-O, which is said to be full of treasure. What I like about Eisenberg's art is how he maintains the comedic ambiance in a story, but also mixes in that sense of real danger that is an equally important element to the story. When Ruff and Reddy are caught in a sandstorm, the danger they are now in does indeed seem real. Fortunately, they survive the storm, which also uncovers the ruins of Bagdaddy-O. No treasure is to be found, but a small lantern, when rubbed, produces a tiny genie! Unfortunately, the genie is barely more than a toddler--he's a mere 2.5 million years old and doesn't quite have the hang of magic yet. When the two friends ask for water, he inadvertantly transports them to the middle of a shark-infested ocean. Each successive try to get them someplace safe only lands them in another dangerous spot. In the end, he manages to get them back to Bagdaddy-O and conjure up a fortune in treasure. But, after the little genie goes back into the lamp to take a nap, Ruff and Reddy realize that they never wished for a way to get their treasure back to civilization. Reddy, though, now has the genie's magic manual and is pretty sure that he can conjure up a way home himself. It's a great little story, structuring a series of sincerely funny gags around a plot that put the protagonists in real danger. Eisenberg's art catches the personalities of the characters and the ambiance of the universe in which they live, and enlivened the gags. 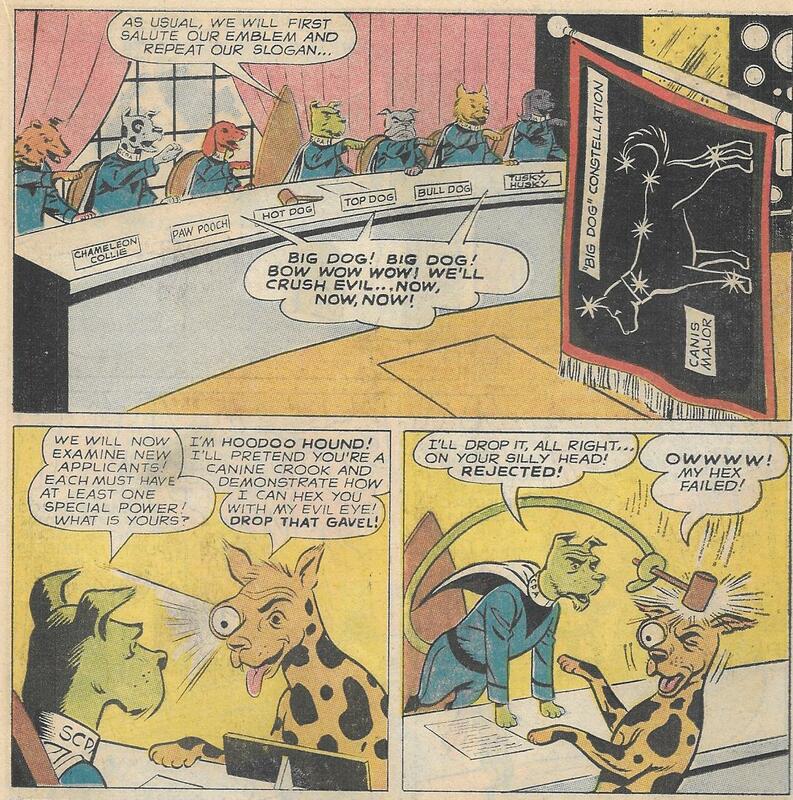 Ruff and Reddy are not the best remembered of Hanna Barbara's many Saturday morning TV characters, but they have earned their important spot in the history of animation. The story is available to read online HERE. Next week, we'll return to Lost Valley again to see how Hutec is working out as Turok and Andar's new partner. 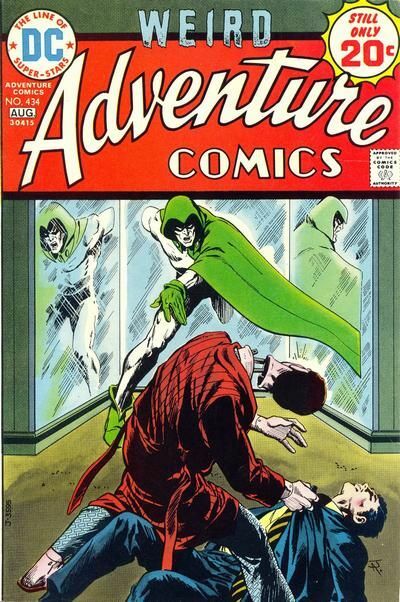 A very creepy cover by Jim Aparo. From 1974. An elderly woman is poisoned while sleeping in her locked bedroom. The police assume its suicide, but Holmes thinks differently. The victim's dog apparently agrees with Holmes! 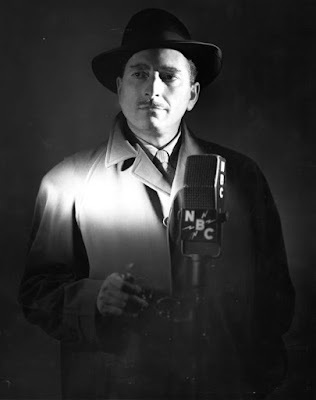 L. Sprague de Camp's "Pusidian series" was his response to the growing popularity of Robert E. Howard's Conan stories, which de Camp felt were unrealistic in terms of culture, technological levels and geography. It is ironic that de Camp, who played a large role in re-introducing Howard to the reading public and wrote a number of Conan stories himself, never really appreciated Howard's skill as a storyteller. But, all the same, turning out tales set in a magic-drenched, pre-historical Bronze Age that is more centered on realistic cultures and geography than Howard's Hyborian Age is by itself a fine idea. The resultant stories, as with all of de Camp's best fiction, is full of dry humor, a fun sense of adventure, and a sharp understanding of human nature. 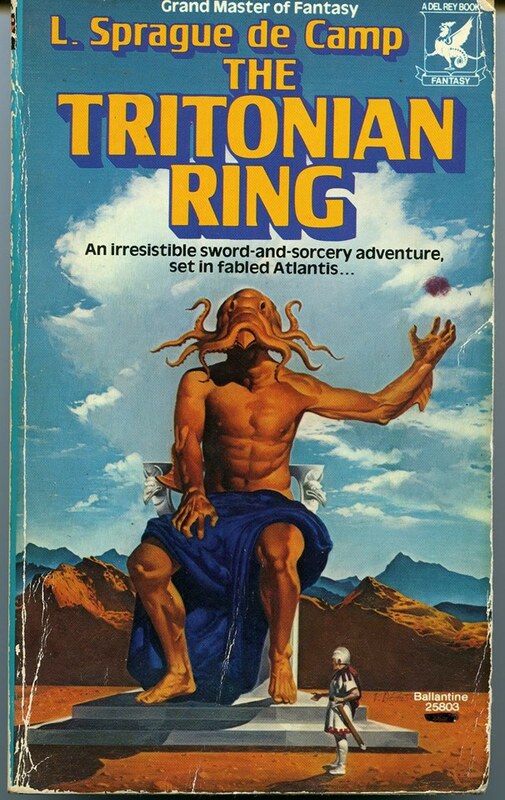 The Pusidian tales include one novel--The Tritonian Ring, first published in 1951 in a pulp magazine with the cumbersome name of Two Complete Science-Adventure Books. It's been reprinted as a paperback a few times since then. 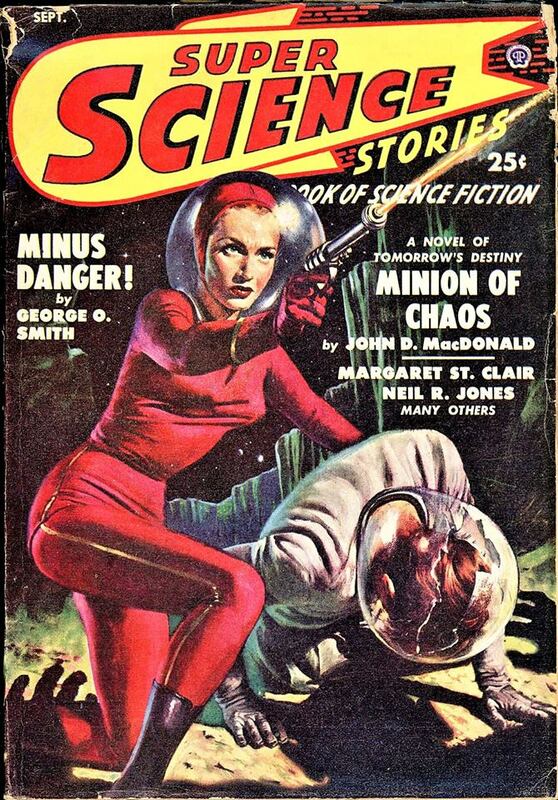 Seven short stories (featuring a different protagonist than we meet in the novel) are also part of that universe. It's the novel, though, that I just finished reading. The main character is Vakar, the prince of Lorsk, which is located on the continent of Poseidonis (what we would call Atlantis). Vakar is heir to the throne of Lorsk, but he would much rather spend his life learning and debating obtuse philosophical concepts. Vakar also represents some sort of vaguely-defined danger to the gods of the various nations. So those gods, responding to unclear prophetic messages, arrange for Lorsk to be invaded in order to destroy Vakar. The nation doing the invading is the Gorgon Isles, an insular piratical nation that uses captive creatures called medusae to paralyze their foes in battle. So Vakar ends up being tasked with the job of identifying and then finding an artifact that is supposed to provide protection from gods and magic. Vakar's quest, which lasts for months and takes him across the known world, takes up the bulk of the story. The dangers he encounters are many and varied, with each situation providing action, adventure and a chance for Vakar to cleverly improvises himself out of problems. He faces foes that range from bandits to a giant inter-dimensional crab to a huge ape-man to a giant stone snake that turns out to be a real giant snake.to an army of magically-reanimated headless corpses. The world de Camp creates is detailed and very realistic. The existence of animals such as mammoths remind us that this is an ancient setting, as do little details such as Vakar eating bread made from a new grain called "wheat" for the first time. Vakar's cultural mores and personal attitudes match the age he lives in as well. For instance, he has no problem with slavery or with occasionally beating his somewhat cowardly personal slave. And his attitude toward the sanctity of human life is... well, let's say it's fluid. But we still like the guy. Why? There are several reasons. First, Vakar has personal courage and the ability to think and improvise under pressure. He's intelligent, literate in a world where many people (including rulers) were not. He appreciates philosophy and likes to learn. These are all qualities to be admired. And he is capable of some degree of character growth. For instance, when he spends some time as a prisoner and ends up getting flogged, the flogging helps him empathize with his slave. Heck, he even promises not to beat the poor guy anymore. Well, not unless it's really necessary. de Camp strikes a nice balance here. He gives us a protagonist whose moral sensibilities are shaped by a brutal Bronze Age culture. And, though we can quite properly think of Vakar as morally flawed, we understand that by Vakar's own lights, he is a moral person. We can still root for him. The novel ends with a battle that progresses in an unusual fashion and an ironic twist involving Vakar's decision on what to do with his life after his quest is complete. Without taking anything away from de Camp's role in preventing Robert E. Howard's fiction from fading into obscurity, I don't think he ever really "got" Howard or Conan. 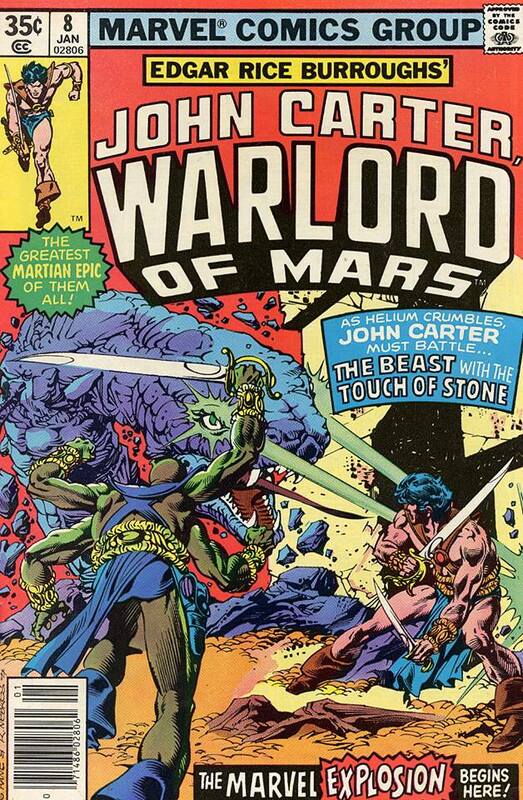 Many of his original Conan stories (including those he co-wrote with Lin Carter) simply aren't that good. But with this novel and the other Pusidean tales, he follows in Howard's footsteps by creating his own "before the dawn of recorded history" civilization. 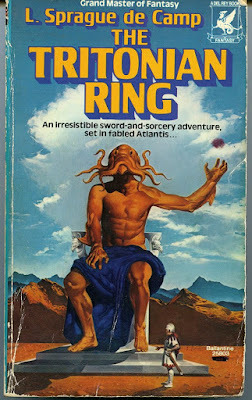 Then, with his own unique strengths as a writer and his vast knowledge of ancient history, he came up with a sort-of "anti-Conan" universe that even all us Conan fans can enjoy visiting. Turok, Son of Stone had a continuing story arc of sorts that ran through its first few issues in the 1950s, but it soon fell into a pattern of each issue having one or two self-contained stories, with little continuity between issues. This isn't a criticism, by the way. Turok is statistically tied with Scrooge McDuck as the most purely awesome comic book character in the history of the medium, so it all worked out okay. But Turok #84 (May 1973) broke the usual pattern, temporarily introducing a new travelling companion for Turok and Andar in for what would turn out to be a trio of interconnected stories running through a total of three issues. Also, Turok almost hooks up with a girl. It all begins when Turok and Andar are hit by drug-tipped blowgun darts and are temporarily paralyzed. They are taken to a town protected from dinosaurs by a thick stone wall. They are amazed at what they see. There's a pyramid in the town and the inhabitants have something called "writing" on which they can record information. I still remember my amazed reaction when I read the above panels as a little 'un. Turok was (and still is) one of my all-time favorite comic book characters, in large part because he is obviously intelligent and always able to keep his head in dangerous situations. He could improvise clever plans and never stopped thinking. But with this issue, I learned that he couldn't read and, in fact, did not understand the concept of reading. Turok and Andar soon recover from their paralysis and make friends with Hutec, who explains that his people--the Tolnacs--migrated into Lost Valley years ago to escape a natural disaster. I googled "Tolnac," by the way. This is all the research I did, so it's hardly definititive, but I couldn't find any reference to them. I'm assuming the name is a ficitonal one, though they are obviously meant to be a part or offshoot of the Aztecs, with pyramids, Aztec battle axes and a written pictograph language. Turok soon learns that a disease has killed all but one of the women of the tribe. A warrior named Xan plans to take the last woman as his wife, but she obviously doesn't care for him. When Turok tells Xan to stop bothering the lady, he ends up in a duel. When he wins this fight by disarming Xan, the chief hooks him up with the woman. This actually makes sense from the chief's point-of-view. The girl is too closely related to the other Tolnacs to safely bear children from them, so some fresh blood is necessary. Turok seems ameniable to this, though Andar is very unhappy with the idea of giving up their quest to find a way out of the valley. This works out, though, as we soon find out that Turok is just playing for time while looking for a way to escape. Oh, Turok, you dog of a ladies' man, you. Xan tries to off Turok, but ends up getting crushed by a T-Rex for his troubles. 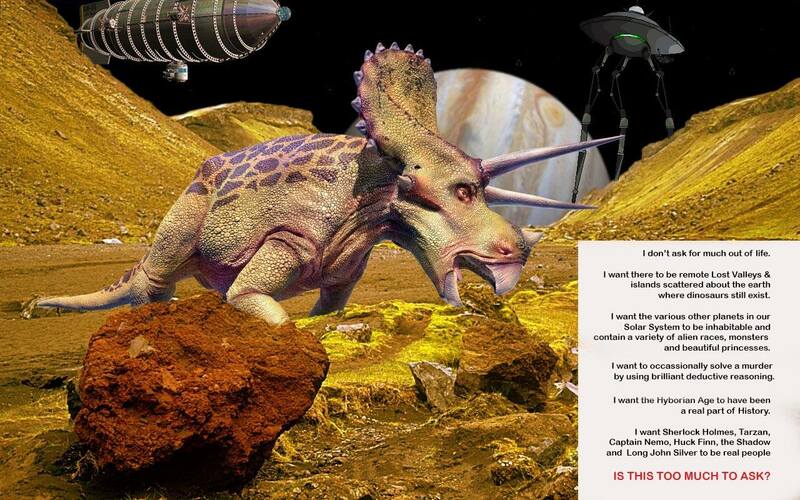 But disaster stricks when a panicking herd of triceratops breaks through the city walls, allowing big meat-eaters to get in as well. This leads to a desperate last stand atop the pyramid. When the dust settles, only Turok, Andar and Hutec are stll alive. Hutec gathers up the scrolls that contain the history of his people and perhaps information to find another group of Tolnacs that might be in the valley or even a way out. Hutec is a bit too blaise about having just watched everyone he ever knew die violently, but other than that we have a extremely well-written story with great action and a number of nice character moments. I don't know why the writers and/or editors at Gold Key decided to run with a continuing story arc. But, as we'll see as we return to look at the remaining two parts of the story arc, they apparently choose wisely. We'll return to Turok, Andar and Hutec in two weeks. Next week, we'll find out just how anthropomorphic cats and dogs can survive in an unforgiving desert without any water. I just discovered that I hadn't been getting email notifications of comments left over the past month or more. I've caught up on approving them and I apologize for the delay in getting them posted. 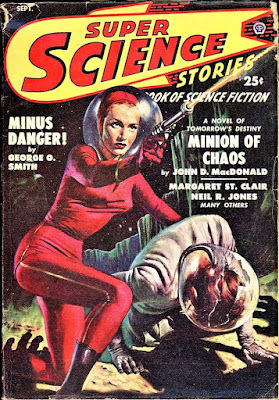 From 1949, with art by Lawrence Sterne Stevens. Sometimes, its the damsel rescuing the dude in distress.